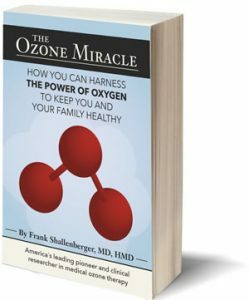 The Ozone Miracle by Dr. Frank Shallenberger is now available at Amazon.com. Buy it Now and begin your journey to better health using the time tested and studied Ozone Therapy methods discussed in this book! Click HERE.